A RECENTLY DISCOVERED RECORDING OF A 1934 WRR RADIO BROADCAST MAKES A BIG SPLASH, SHEDDING LIGHT ON THE EARLY YEARS OF BROADCAST PROGRAMMING. To listen to the 1934 WRR broadcast, click the links above the disc. On March 14th, 2002, WRR received a phone call from “Major” William Bond. He had recently come into possession of a recording made by his grandfather, Harry A. F. Houck. Mr. Bond was certain the disc contained a recording of an old WRR broadcast and was looking for a way to play it. Intrigued, I put him in touch with a local recording studio, which had experience in transferring 78-RPM records to digital. I agreed to meet him at the studio the following week and listen to the record. 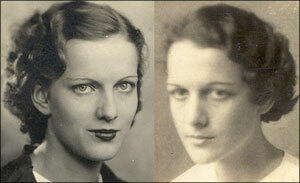 Virginia and Edith Bond, aka "The Bond Sisters." warping and seemed to be in excellent condition. The letters “WRR,” scribbled in pencil on both sides, were the only markings, the only clue to the contents. Mr. Bond explained that since his grandfather passed away in 1935, the recording had to have been made that year or earlier. Further, “Bond family legend” suggested the recording was of his sisters, Virginia Bond and Edith Bond, who had performed as “The Bond Sisters” on “Bill Boyd’s Ramblers,” a popular WRR program which aired in the 1930’s. Apparently, Houck’s Victor radio/recording unit allowed him to record directly from the airwaves, sans a microphone. 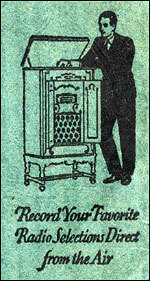 Harry A. F. Houck recorded the WRR broadcast in 1934. There was a moment of heightened anticipation as the disc was placed on the 78-RPM turntable. Dropping the needle gently into the groove, the studio engineer brought up the faders and fiddled with the volume knob. We heard only a very faint, undistinguishable audio signal buried under an abrasive, rumbling mountain of static. The excitement, which had permeated the studio only moments before, quickly sank. There seemed to be an unspoken consensus in the room that the recording might be unplayable, lost to the ages. 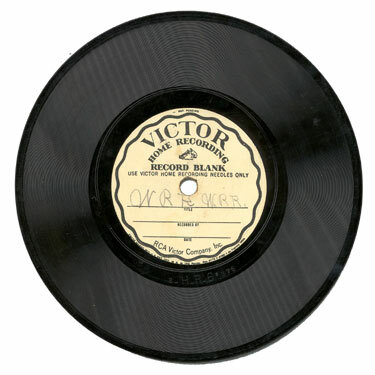 After consulting with radio historian Elizabeth McLeod, we discovered the Victor home recording technology didn’t use the standard 2.8 mil 78-RPM stylus. Instead, the system required a 5 mil stylus, which is much wider in diameter. If we could find a 5 mil stylus, there was still a chance the recording could be heard. However, we quickly discovered it would not be easy finding such a needle in the Dallas area. We were told repeatedly by local audio engineers that this type of stylus is very hard to come by. It seemed we were out of luck—until we talked to Phil York. Phil York transfers the Houck recording to digital. Phil York is a celebrated audio engineer who owns Yorktown Digital Works, a sound studio in Irving, Texas. Mr. York was recommended by several people, including Grace Johnson, WRR’s Business Manager who had recently witnessed his expert restoration of an old recording. It turned out that Mr. York didn’t have the rare stylus we needed, but he said he would have one specially cut within a few days. Shortly thereafter, the stylus arrived by Fed-Ex, and William and Kathy Bond scheduled a new studio session. On April 5th, I met the Bonds at Yorktown Digital Works. Mr. York cleaned the WRR disc, and showed us his specially cut 5 mil stylus, which he then affixed to the arm of his turntable. He activated his CEDAR® unit, a special device which declicks and decrackles old recordings. 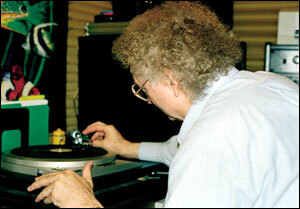 As he lowered the needle into the groove, the sounds of a WRR broadcast from long ago filled the studio. 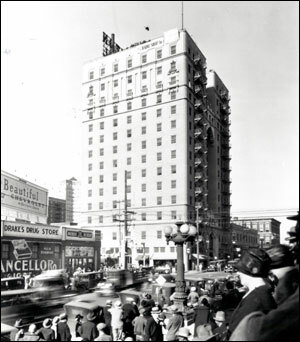 In May of 1934, the WRR Studios were located in the Hilton Hotel, located at 1933 Main St., Dallas, TX. The 1930’s were a time of live performance broadcasting. In those days, it was common for musicians to visit the studios and perform “live” to promote their recordings. The first thing on “Side A” of the record is a vocal performance of “Wagon Wheels.” Supported by vibraphone, guitar and muted trumpet, the instrumentation is quite charming. After the song ends, the WRR announcer informs us we are listening to a group known as “The Harmonians.” The announcer then introduces “Memories,” the next song to be played by the group. A few bars of “Memories” are heard before Side A abruptly ends. This detail from Mr. Houck's record sleeve reveals RCA Victor marketed their home audio recorder as a way for consumers to preserve their favorite radio shows. number ladies and gentleman that Milton Brown And His Musical Brownies made a record of a few weeks ago, and it’s due out in just a few days. So don’t forget to ask for Milton Brown’s record at your music store.” The announcer goes on to reveal the song is called “My Precious Little Sonny Boy.” The first few bars of this song are heard before “Side B” of the recording abruptly ends. In all, the disc contains 5 minutes of audio. But when was it actually recorded? 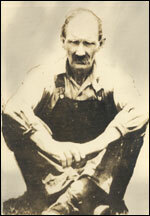 I contacted Cary Ginell, a historian who wrote a biography of Milton Brown, and learned “My Precious Little Sonny Boy” was recorded on April 4, 1934. Therefore, since the radio announcer says the song was recorded: “a few weeks ago, and it's due out in just a few days,” the WRR broadcast probably occurred in May of 1934. To confirm this, I went to the Dallas Public Library and pulled The Dallas Morning News files from that time period. I discovered that Thursdays, during May of 1934, WRR aired a program from 7:30 to 8:00 pm called “The Harmonians,” followed by a program from 8:00 to 8:15 pm called “Musical Brownies.” This evidence suggests the Houck recording is consistent with being a live WRR broadcast from the station’s Hilton Hotel studios, circa May of 1934. 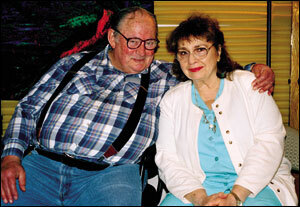 William and Kathy Bond, owners of the Houck record. The Bond family has since learned their WRR recording of “Milton Brown” could be worth a lot of money. A record label hoping to issue the recording on CD has already contacted them. It is thought that the unknown song preserved on the acetate was never officially recorded by The Musical Brownies. Tragically, Milton Brown died from complications stemming from a car wreck in 1936. His relatively small body of work and untimely demise increase the appeal, value and rarity of his memorabilia among collectors and historians. In the final analysis,“Major” William Bond was hoping to hear his sisters’ voices on the WRR recording. Instead, he found something very different, something generating a lot of interest among fans of Milton Brown and something possibly worth a lot of money. All things considered, it’s not a bad haul for a lost recording of a WRR broadcast that’s been collecting dust for almost 70 years. There's a pasture at the end of each road. Wagon wheels, carry me home. WRR Radio Announcer: "And as an appropriate ending to our program presented by The Harmonians, they play 'Memories.'" Sing "Hallelujah, Hallelujah," we'll drive your cares away. "Hallelujah," Sing "Hallelujah," get down and jump in the bay. Satan lies a'waitin', and creatin' skies of gray. Yeah, lord!! "Hallelujah, Hallelujah," we'll drive your cares away. You've gotta bend down, sister. If you want to keep thin. You must bear it and grin. Sniff, but don't give in.--Lordy, lord! WRR Radio Announcer: "What's the matter?" Unknown Voice 1: "We almost got tickled (inaudible) the way he sang it..."
WRR Radio Announcer: "Is that so?...Now here's a number, ladies and gentleman, that uh... Milton Brown And His Musical Brownies made a record of a few weeks ago, and it's due out in just a few days; So don't forget to ask for Milton Brown's record at your music store. And this, incidentally, is being made for Milton's (undistinguishable), who is only three years old: "My Precious Little Sonny Boy," a number composed by Milton Brown." © 2002 WRR FM Radio / All Rights Reserved.